Many of you will know Mr Jun Takeuchi sensei, Kendo Kyoshi 7th Dan. Takeuchi sensei lived and worked in Australia during our early kendo years and taught the Australian kendo founders much. Senseis career flourished and he was needed back in Japan, so unfortunately for Austrlians, he returned. 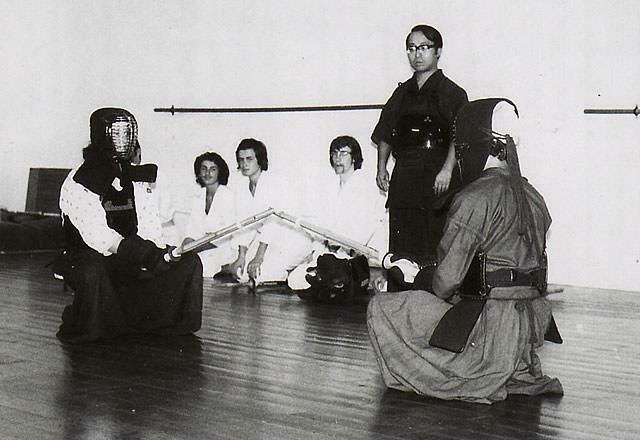 Sensei then went on to also become the Secretary-General of the International Kendo Federation. Takeuchi sensei has written an interesting, amusing and heart warming article of his memories of one of our founders, former AKR President and kendo sensei – Mr Ron Bennett sensei. 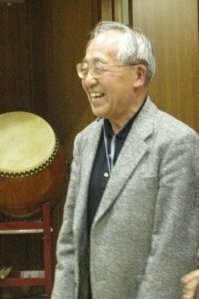 Takeuchi sensei regarded Ron as “The Man Who Lived the True Kendo”. You can download a copy of the Takeuchi senseis article here. 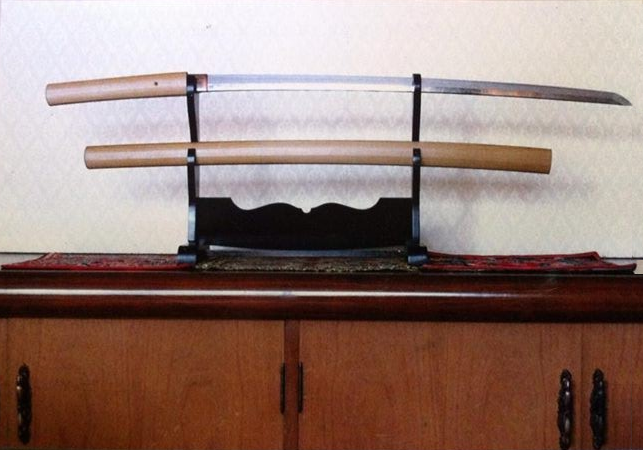 The Japanese sword that is pictured below was presented to Takeuchi sensei by Ron Bennett. Apparently the sword had been acquired by an Australian during or just after the Second World War. Somehow, Ron came across it and bought it. Some years later, Ron presented the sword to Takeuchi sensei and said “Koalas belong in Australia and Japanese swords belong in Japan”. Takeuchi sensei was unable to locate the family of the original owners of the sword, and now continues to be its custodian. 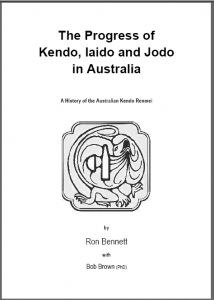 If you are interested, more history of the Australian Kendo Renmei can be found in Ron Bennett’s book “The Progress of Kendo, Iaido and Jodo in Australia”. Your own personalised PDF copy can be downloaded here. 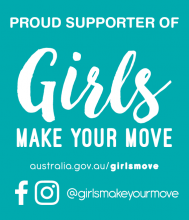 Cost is $10.00, with the proceeds supporting the future Australian activities of kendo, iaido and jodo.